Kazuma Kiriyu is one of the best characters in videogames, period. 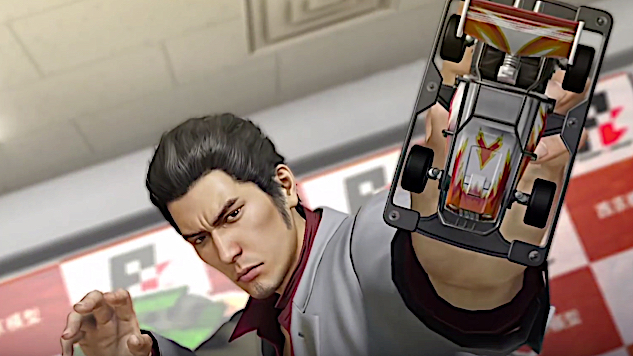 The recent, more widespread outpouring of love for the Yakuza series has resulted in Sega going into the series’ backlog and rereleasing previous games for the current PlayStation 4 hardware. It all started last year with Yakuza 0, which was a surprise hit, financially, and it was followed by the remake of the first Yakuza game in Yakuza Kiwami. With the fervor for more Yakuza at a current fever pitch due to the critical acclaim of the recently released Yakuza 6, more HD remasters are reportedly on their way—in Japan, at least. According to a report in the popular Japanese gaming magazine Famitsu, the highly adored Yakuza 3, 4 and 5 are getting their just HD remaster treatment for the PlayStation 4. More or less, they will look the same as their previous generation counterparts, but they’ll run at 60 frames per second and in native 1080p. The remaster for Yakuza 3 will be out in Japan on Aug. 8. There is no word on international releases as of yet but given the newfound success the franchise has found in the west, international releases of these three games seem likely. The Yakuza series is known for its verisimilitude of location and its deft capability in balancing a serious narrative with zany, often genuinely humorous side missions. The series follows the trials and tribulations of the heart-of-gold Yakuza member Kazuma Kiriyu, and his various tales are as much heartfelt and poignant as they are over-the-top. One would not expect Sega’s relatively niche, until now, open-world brawler franchise to offer such a pulpy and stylish look into broken aspects of the human condition and masculinity, but the main narrative at play in the series is genuinely well-told and cinematic. That being said, some of the series’ main problems come in the form of the portrayal of its female characters, over-sexualization and how it sometimes signal-boosts outdated, heteronormative tropes as if they are absolutes. The series has gotten somewhat better with this over time, but one can only hope that Sega, when remastering these games, will go back in and sharpen some of its rougher thematic edges. Kazuma Kiriyu’s journey finds a resolution in Yakuza 6, so the remastering of Yakuza 3, 4 and 5 will offer a glimpse, for new and old fans alike, into how Kiriyu’s serpentine, ever-winding journey led to its end. More Yakuza is never a bad thing and one can only hope that Yakuza Ishin makes its way to the west someday as well, because it is everything that makes Yakuza great, with the added addition of being set during Japan’s Bakumatsu period.